The Offside Rule (We Get It!) returns for the 2014/5 season with Lynsey Hooper, Kait Borsay and Hayley McQueen. Plenty to talk about this week, and it's not just the loose-bottomed feathered friends of Ashley Young that get our vote. From favourite pitch invaders to fantasy football duds dip into 30 minutes of football discussion and we'll try to keep you amused. Our foreign round ups return with Laura James and Ligue 1 and find out who this week's Twitter Topic of the Week winners are. 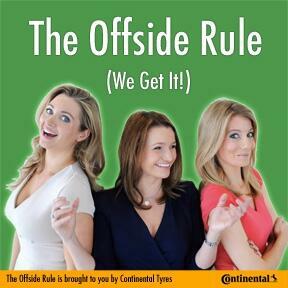 You can find us at offsiderulepodcast.com on Twitter: @OffsideRulePod on YouTube: The Offside Rule TV and on Facebook: The Offside Rule. Out every Thursday.